Schoffel is a brand which was established in 1804, and the Schoffel Country division of the company began 20 years ago; it is British heritage design which is made in Europe. When Schoffel were originally asked by the Shooting Fraternity to design and produce a shooting jacket, they created the Ptarmigan jacket. The jacket hasn’t changed in style or cut, only the fabric has developed as fabric technology has evolved. It is 100% waterproof, and is even machine washable. Following on from the success of the original Ptarmigan jacket, Schoffel has expanded the Ptarmigan coat into 4 variations: the Ptarmigan Coat, the Ptarmigan Superlight Coat, the Ptarmigan Interactive Coat, and the Ptarmigan Tweed Coat. Each jacket is designed to have the same features you’d expect from the original Ptarmigan, but the 3 other styles have been created to suit different needs. Here we will have a look at the core features found in each Ptarmigan coat, and what makes them different from each other. Every Ptarmigan coat is 100% waterproof, windproof and breathable. Schoffel have put a lot of time into ensuring they source the best materials to make their premium coats. 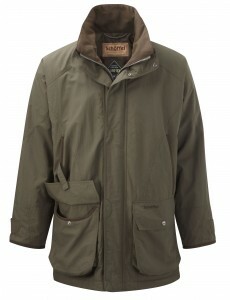 Sch?ffel have been long running champions of GORE-TEX® and are now the largest users of GORE-TEX® in Western Europe. Each Ptarmigan coat is GORE-TEX® lined, and have taped seams which keeps them waterproof. 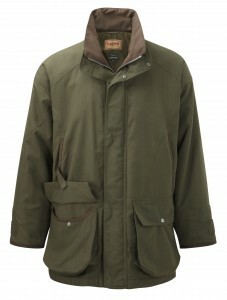 The breathability of the Ptarmigan coats comes from the polyester lining. Schoffel also use polyester because it moves easily with your clothes, allowing freedom of movement. Due to Schoffel’s established climbing and skiing heritage, the sleeves on all Ptarmigan coats have been cut so that you are not restricted when you lift your arms. Added to the inner of the sleeves are elasticated storm cuffs; made from polyester these are fast drying, and will stop water from getting into the jacket. The storm cuffs also work with the GORE-TEX® liner in making sure the breathability and warmth of the jacket are not affected by the weather. When it comes to pockets, Schoffel have thought of everything. The two front bellow pockets feature drainage holes, and there are two inner zipped side security pockets as well. While the inner right hand pocket is waterproof because it sits behind the GORE-TEX® liner, the inner left hand pocket is not 100% waterproof because it is in front of the GORE-TEX® liner, leaving your valuables in it is probably not a good idea if it’s raining. There is also a lower inner pocket which is big, and sits behind the left bellow pocket. The Ptarmigan also has two microfleece handwarmer pockets to keep your hands warm, and even if these pockets do get wet, the microfleece will dry quickly when the pockets are pulled out. 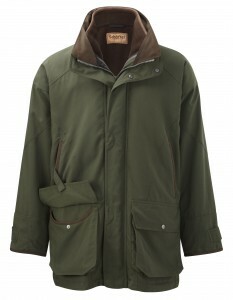 Finally one of the best features about the Ptarmigan coats is the fact that the whole range is machine washable. Schoffel suggest they should be washed at least once a year, but cannot be tumble dried. Schoffel jackets also cannot be washed with liquid detergents, and they suggest using a Persil non-bio powder. As each Ptarmigan coat is slightly different, it is always recommended you read the label on your jacket before washing, which can be found in the inner right waterproof pocket of each Ptarmigan jacket. It should also be briefly mentioned that the Ptarmigan coats also have a removable hood, which is found in the inner lower pocket, and can be attached to the collar with stud fastenings. The Ptarmigan Tweed does not have this feature, as there is a separate tweed cap which can be purchased with the jacket. But why are there four versions of the Ptarmigan, and what makes them different from one another? Firstly the original Ptarmigan coat is made from Cordura® which is slightly more durable than other fabrics and has a lightweight stretch. The jacket also has high loft insulation to keep you warm. The Ptarmigan Interactive is non-insulated and can be worn all seasons. Unlike the other Ptarmigan’s, it has the ability to zip in the Schoffel Oakham Fleece Gilet if you need to layer up in colder weather. This jacket is made with Cordura® and one difference you’ll notice straightway is that it is a slightly different colour to the other Ptarmigan’s, in just a bit of a darker shade of green. The Ptarmigan Superlight uses Meryl® fabric technology, a nylon which is the toughest of all fabrics for shooting, and is tear-proof and shape retaining. With high loft insulation, this jacket is still the lightest of the Ptarmigan range, whilst keeping you warm. The Ptarmigan Tweed is made from 100% pure new lambswool using worsted technology, which makes it durable. The jacket is Teflon coated which makes it waterproof, as the water beads off of the fabric, and is not able to penetrate through. Again Schoffel has used high loft insulation to keep you warm, or there is the option to wear the matching Ptarmigan Tweed Waistcoat underneath to add another layer. 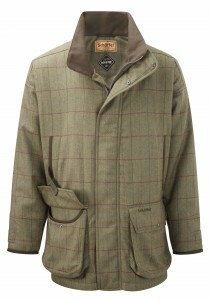 Although Schoffel keep their range smaller than others, they put a lot of thought into every aspect of their clothing. When it comes to the Ptarmigan coats, they ask their customers what they want from a high performance jacket, and quite simply it is one of the best ranges of jackets on the market, and is an investment in quality for life. Ptarmigan Coats, Ptarmigan Jackets, Sch?ffel, Sch?ffel countrywear, Sch?ffel Ptarmigan, Sch?ffel tweed, Shooting coat, Shooting Jacket. Bookmark.